Canadians are paying far more than Americans for the same products because of a systemic and unjustifiable markup scheme by many manufacturers, a retail expert says. A Marketplace report on Canada-U.S. price gaps found Canadians paying higher prices — more than double in some cases — for the same retail goods because of an industry phenomenon called "country pricing." 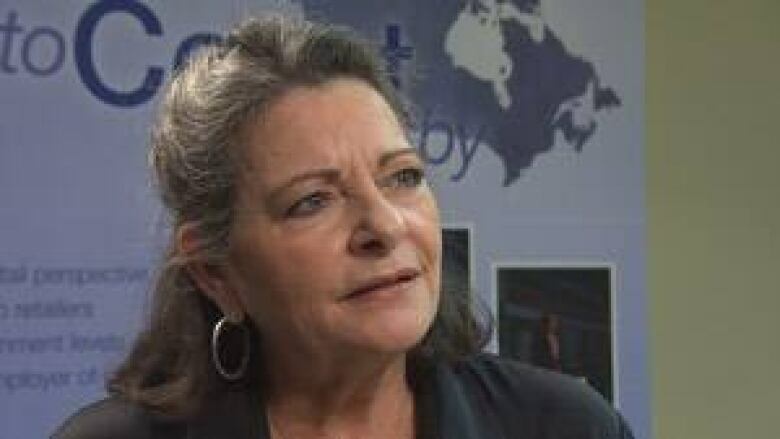 "Multi-national brands, they have two different price lists … (one) for retailers in Canada, and (one) for retailers in the United States," says Diane Brisebois, president of the Retail Council of Canada. "And I can guarantee you that the price lists for retailers in Canada [have] prices that are between 10 to 50 per cent higher than the prices in the United States." In some cases, the final sale price is much more. 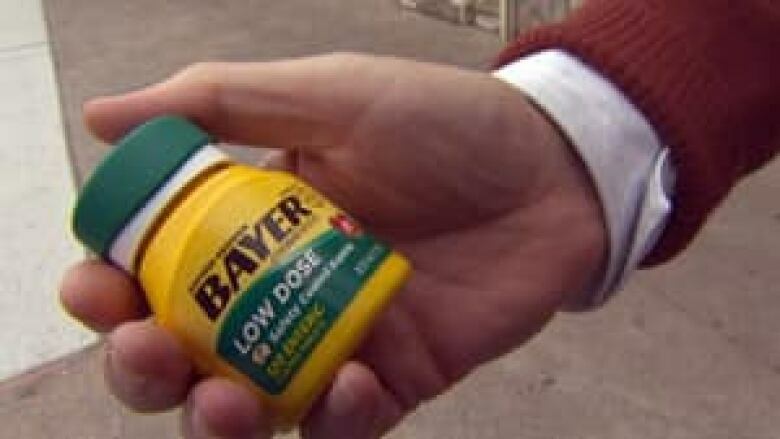 Marketplace's investigation found a bottle of Bayer Aspirin, which costs $5.96 at a U.S. Wal-Mart sells for $13.86 at a Canadian one, a 132 per cent difference. Prices are local, and on the day of the investigation, the Canadian dollar was trading at 99.3 cents US. The Senate finance committee's Wednesday report on the price gap contained other pronounced examples. Automobile tires cost 32 per cent more in Canada, and a bottle of ibuprofen cost 70 per cent more than the U.S. price. Marketplace Game: Guess That Price! Edmonton resident Christine Maligec was shocked to find the playpen she bought from Toys "R" Us cost $129.99 in the U.S., but jumped to $249.99 in Canada. "I can understand paying a little bit more, but nearly twice as much?" she said. "And our dollar is nearly at par — what's going on with that?" Manufacturers claim that Canadian prices are higher due to labour and transportation costs, tariffs, the smaller Canadian market and other issues. Bayer responded to Marketplace's story with an email pointing to similar factors causing higher prices in Canada. "These dynamics are influenced by a variety of factors such as local economic conditions, cost of goods, differences in product formulation and local regulatory packaging and distribution costs," it read in part. " 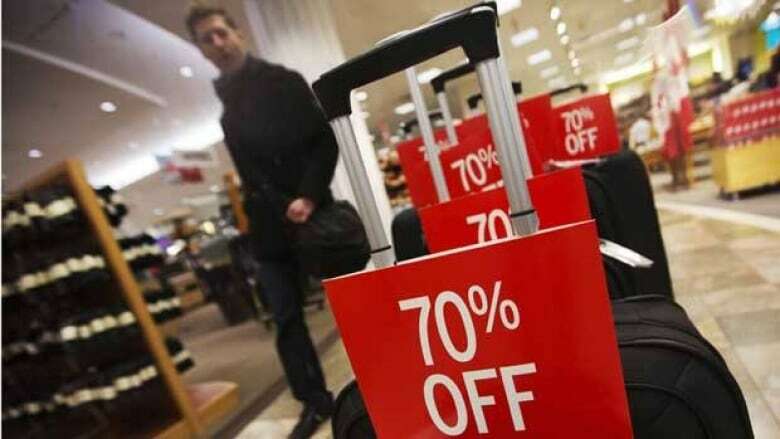 A direct comparison of Canadian and U.S. prices is not appropriate." Brisebois says those issues should only cause slight price increases, but such high double- and triple-digit markups are indefensible. "I don't care what the manufacturer says," she told Marketplace host Tom Harrington, "You cannot justify 30 per cent, 50 per cent, 100 per cent more in Canada than in the United States. It may cost a bit more to do business in one country versus another, but we're talking about five to 10 per cent. "I don't believe in that crap," she added. "I think it's a bloody lie, and I think retailers are saying enough is enough." It's difficult for many retailers to fight back effectively, because the manufacturers can essentially hold them hostage. "We have small retailers who have been complaining to their manufacturers that they're charging them too much in Canada," Brisebois said. "And the manufacturers are saying, 'You don't like my price, then don't carry my line.' They're threatening retailers." Watch Marketplace's episode, Price Tag Confidential, Friday at 8 p.m. (8:30 p.m. in Newfoundland and Labrador). In her testimony to the Senate committee, Brisebois elaborated on the issue. "If I am a sporting goods retailer in this country, and I do not carry Reebok or Nike, chances are that I will not have too much retail traffic in my store," she said. "That explains why they also have the ability to tell a Canadian retailer … how much they will sell a product for if the retailer wants it in their store." The markups hurt retailers too, since many shoppers are choosing to take their business across the border. A May 2012 report from Bank of Montreal estimated that cross-border shopping is costing the Canadian economy approximately $20 billion per year, and Brisebois says the government is losing another $8 billion to $10 billion in tax revenue. It's not just foreign manufacturers exploiting Canadians. Brisebois says even Canadian manufacturers are guilty of country pricing. "We have Canadian manufacturers who are selling to Canadian retailers at a higher price than they are to U.S. retailers," she explained. "And the product is made here. It doesn't make sense." One reason that Canadians pay so much more is simply that they're accustomed to it. "[Manufacturers] say… the market can bear it," Brisebois said. "[Canadians] had more money or they were used to paying a higher price." Brisebois says that attitude springs from times when the Canadian dollar was typically closer to 60 cents US and cross-border shopping was less popular. Prices were naturally higher in Canada, but Canadians came to expect those prices, so they never pushed back even as the dollar neared parity. During the recent Senate probe, multiple witnesses — including Bank of Canada governor Mark Carney — said the problem of "charging what the market will bear" is due to a lack of competition. The Senate report concluded that "increasing competition in Canada is crucial to eliminating price discrepancies between the two countries." The report also calls for a "comprehensive review of Canadian tariffs," and possible increases on duty-free shipping limits. Brisebois applauded the Senate findings and hopes that changes are coming. "The government must now act in its upcoming budget to implement many of the recommendations of this report and be a part of the solution," she said. "Retailers continue to do their job in delivering value to consumers. It is now time for our government to assist in leveling the playing field for our businesses in Canada."